Only those who registered for MCARE2015 are entitled to submission to the above special issues. Authors who do not present their paper at the venue of MCARE2015 lose a right to have their paper reviewed even though they registered for the conference. Please submit your paper to the KJChE through on-line journal submission system (http://www.editorialmanager.com/kjce/) of the KJChE by Apr. 3, 2015. According to the conference’s policy, the author in oral/poster presentation of MCARE2015 can submit a manuscript to the KJChE (SCIE, IF 1.241). Also, submit your paper with proper format at http://www.editorialmanager.com/kjce/ of the KJChE. This does not guarantee the acceptance of manuscript. All the manuscript will be considered for publication after peer review according to the journal's policy, and 20 papers will be published in a regular issue of KJChE. Please submit your paper to the SAM by sending your manuscript to the special-issue editor, Prof. Sung Min Cho (sungmcho@skku.edu) by Apr. 3, 2015. According to the conference’s policy, the author in oral/poster presentation of MCARE2015 can submit a manuscript to the SAM (SCIE, IF2.908 ). Also, submit your paper with the proper format in http://www.aspbs.com/sam/inst-auth_sam.htm. This does not guarantee the acceptance of manuscript. All the manuscript will be considered for publication after peer review according to the journal's policy, and 50 papers will be published in a MCARE2015 special issue of SAM. 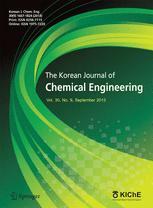 Please submit your paper to the IJACT (SCI, IF 1.215) by sending your manuscript to the special-issue editor, Dr. Taek-Soo (tskim@kitech.re.kr) by Apr. 3, 2015. According to the conference’s policy, the author in oral/poster presentation of MCARE2015 can submit a manuscript to the IJACT. This does not guarantee the acceptance of manuscript. All the manuscript will be considered for publication after peer review according to the journal's policy, and 20 papers will be published in a MCARE2015 special issue of IJACT.